Tiffany's Online Finds and Deals: TENKER Q5 Projector: Nice projector at an affordable price. TENKER Q5 Projector: Nice projector at an affordable price. 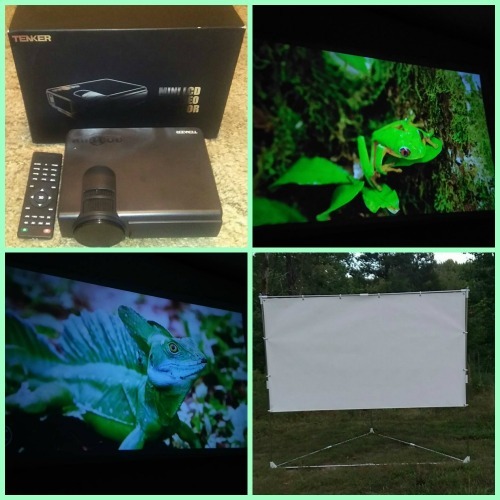 I received the TENKER Q5 Projector at a deep discount to test and share my experience. All opinions are my own. I have been using the TENKER Q5 Projector since I received it and have to say I love it. I've only had one other projector and while they were at the same price point this one is the clear winner. 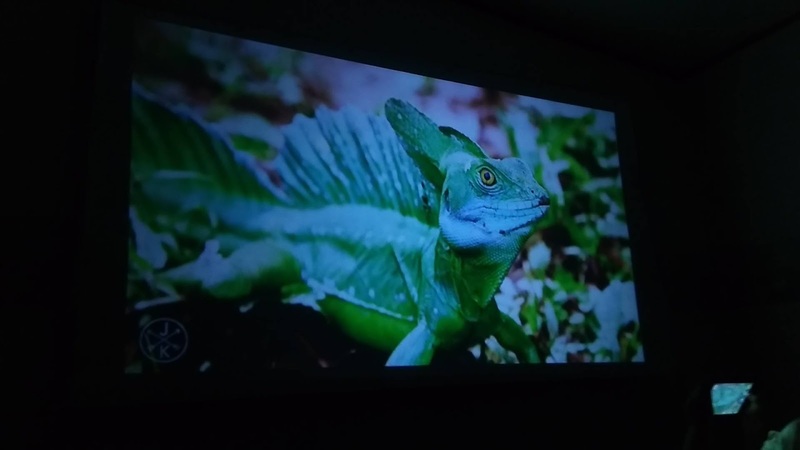 I feel for under $100 this projector is well worth it. It offers a nice picture. I watch it on a 100 in projector screen and it does great. It is easy to zoom and even has a tilt option(rectangle correction) so you can get the angle you need. The sound quality is decent and works well inside. If you want louder or to use outside, you can connect 3.5 mm speakers for added volume. NOTE: My camera didn't pick up the picture quality that great. Pictures at end of video show it better. This projector is handy to have. I use it on family movie nights, home schooling my preschooler, imaginary play, ect. Combine with an outdoor projector screen for a fun family movie night that doesn't break the bank as they can be used over and over again! Can get both the projector and screen for $200-$300 just depends on which screen type you want. Also could be great for birthday parties and other gatherings. 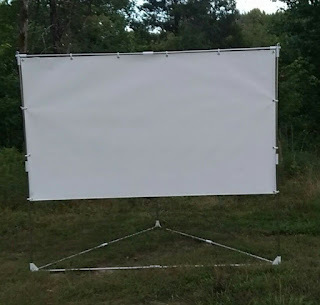 My outdoor projector screen. I also use it inside. My daughter learning about different animals. 1500 LUX & 800x480 RESOLUTION PROJECTOR: Brighter and Sharper, provide you excellent home cinema experience. PLEASE NOTE this projector is an ideal for home entertainment in dark, NOT recommended for PPT or business presentation. PERFECT HOME THERTOR PROJECTOR: Mini projector but huge projection size, makes you an amazing private home theater. 35~100 Inches Projection Size with 1.15~3m Projection Distance! The best projection distance is about 2m. MULTIMEDIA CONNECTION: This cinema projector support connection with PC, Laptop, Game Thrones, TF (Max 64G), USB, iPad, iPhone, Android Smartphone tablet, etc. PLEASE NOTE you need a WIFI display dongle (not included) to connect projector with smartphone and tablet. REDUCED FAN NOISE: This projector is equipped with an innovative cooling system with heat dispersion, as well as the fan sound cut in half with noise suppression. This translates into less distraction viewing movies or playing games. I have use tenker q5 projector. It's the reliable and budget projector.